A steamed bun of form of the chestnut which I used white bean jam for. 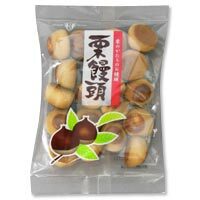 A good point per a mouth resembles a Japanese cake of "the mashed sweet potatoes containing sweetened chestnuts" which I used a chestnut for closely. Please to tea cake.